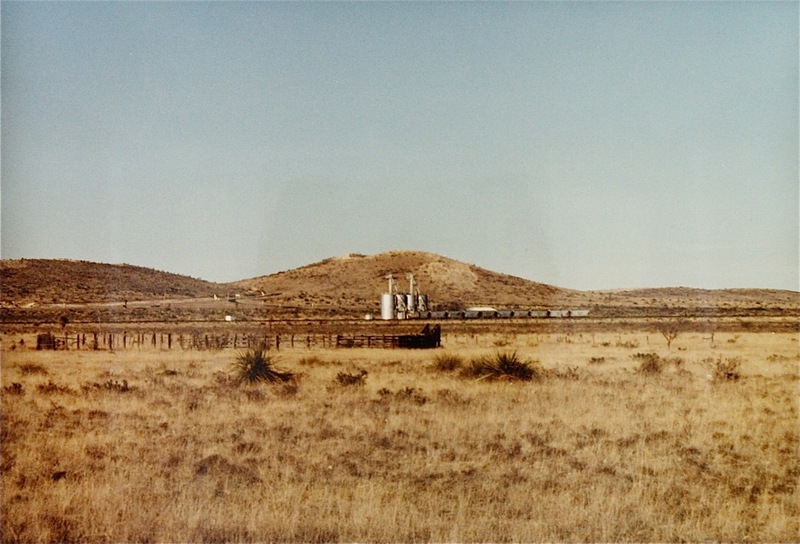 On the outskirts of Marfa, Texas, there is a lonely little spur that services a very small operation that transloads molasses for cattle. 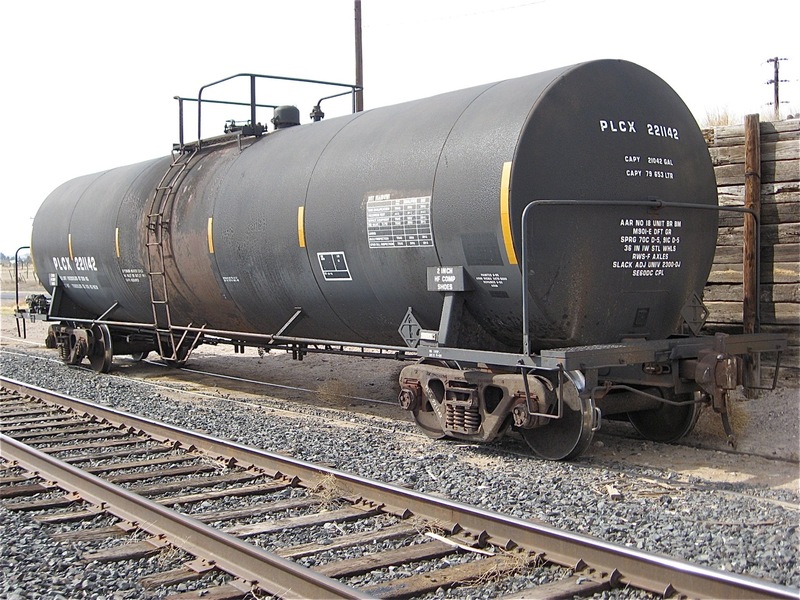 I had earlier done a series on molasses dealers along the rails in Texas and New Mexico. I wanted to come back to this one because, I guess, it is really special. 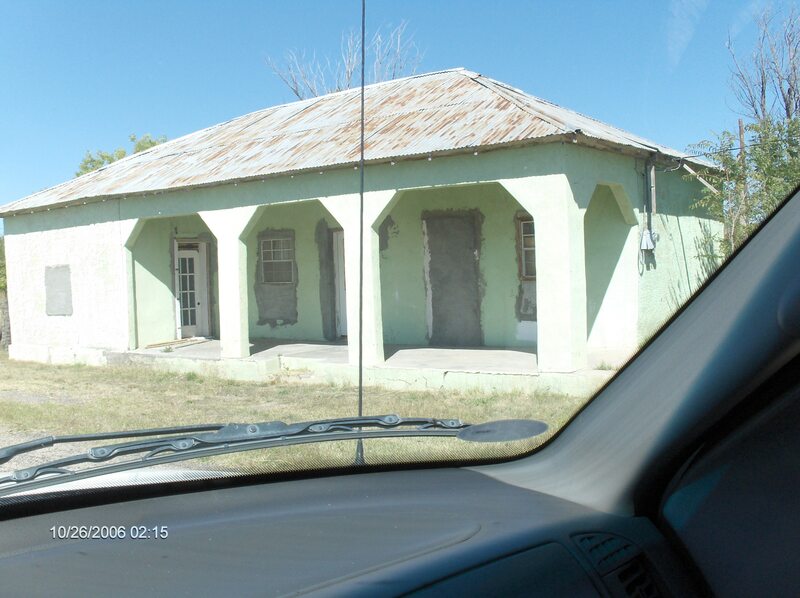 One, Marfa is a really interesting town. 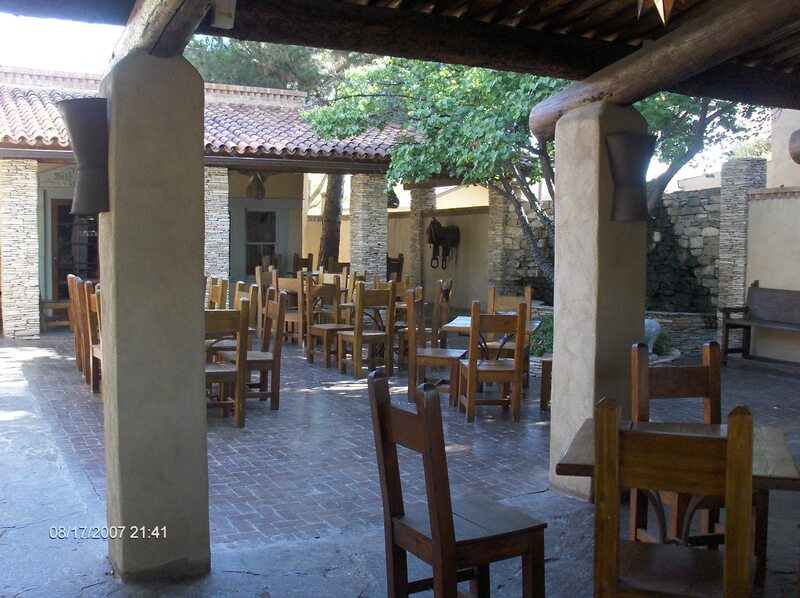 It is a place where traditional ranching and Hispanic communities merge with arts and entertainment. It has countless art-related entities including the famous Judd Foundation. The foundation is closely associated with the minimalism school. 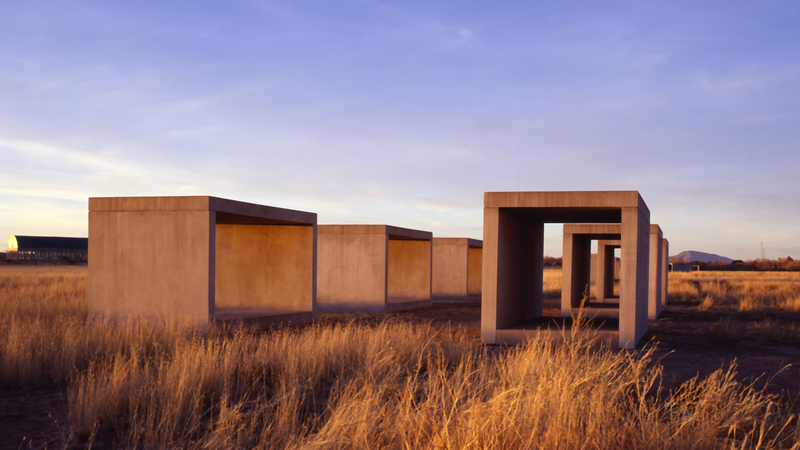 In the 1970s, minimalist artist Donald Judd moved to Marfa, Texas, where he created giant works of art that bask beneath vast desert skies. 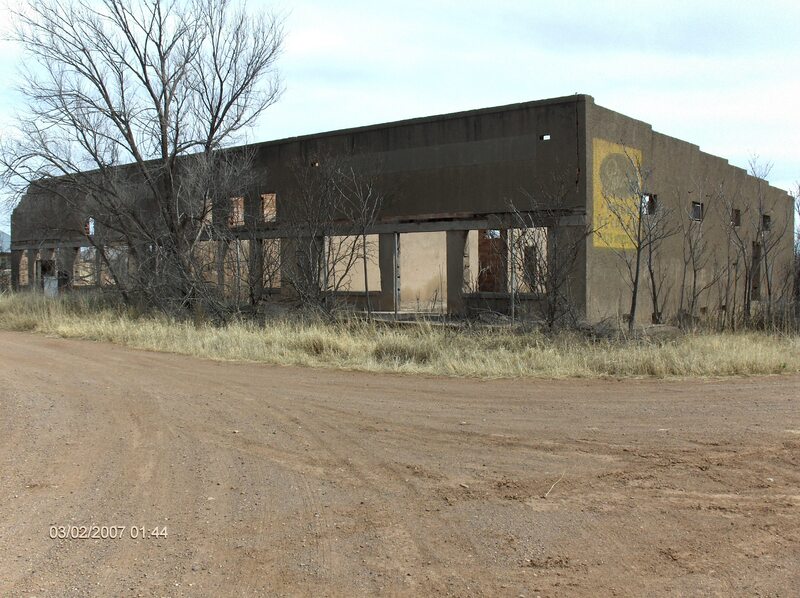 In the years since, Marfa has emerged as a hot spot for art tourism. 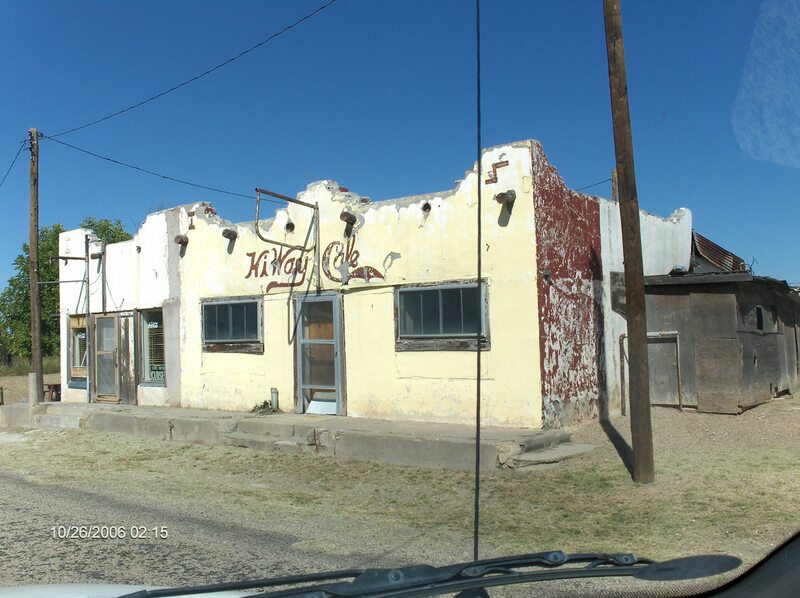 Two, it has a lot of interesting restaurants and businesses that one might not expect in a small, remote West Texas town. Enough on that, now back to my favorite spur…Third, it has this desolate little spur that captures my imagination. 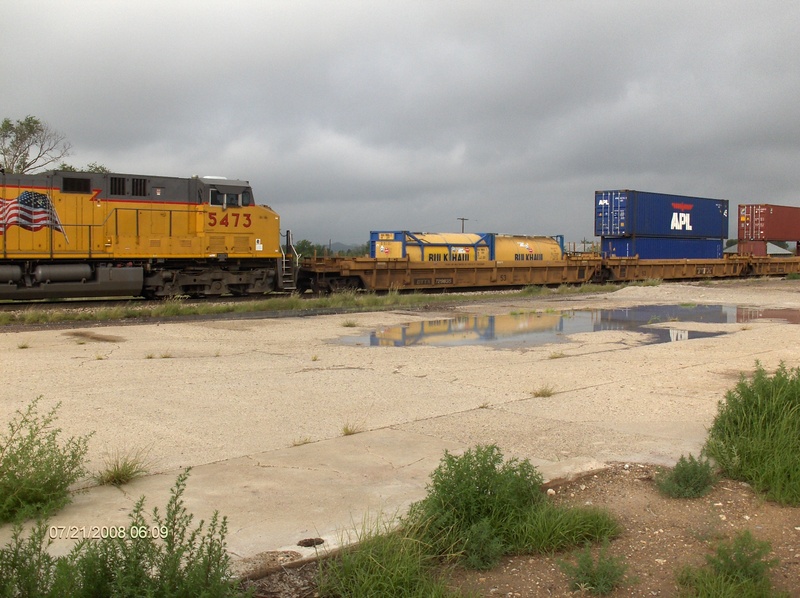 Somehow, single car deliveries persist despite the fact that it is the only Union Pacific shipper for miles around. It has to be serviced by through freights. There are no locals this far out. I have been here on beautiful sunny summer days and cold winter, wind swept days. 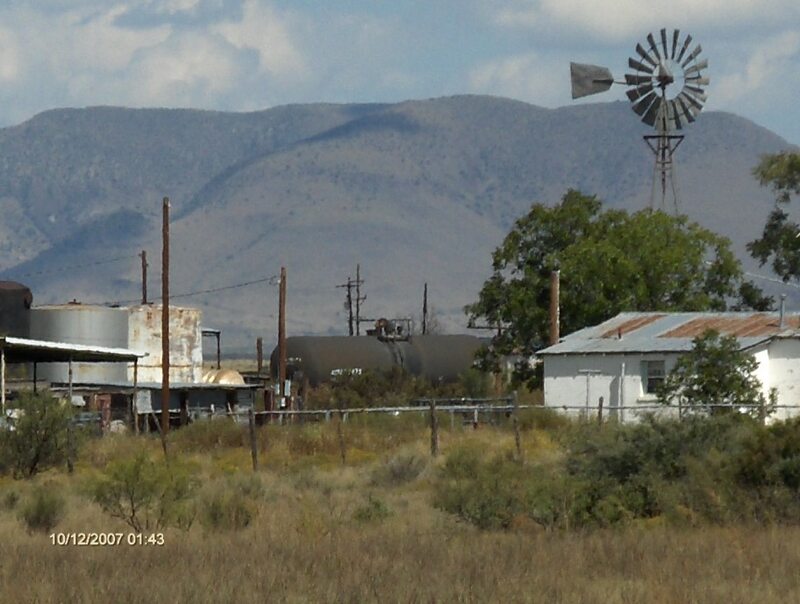 It is always special–just me, a tank car or two, the smell of creosote and molasses, mountains in the backdrop and the solitude (and sometimes a tumbleweed or two bouncing around). 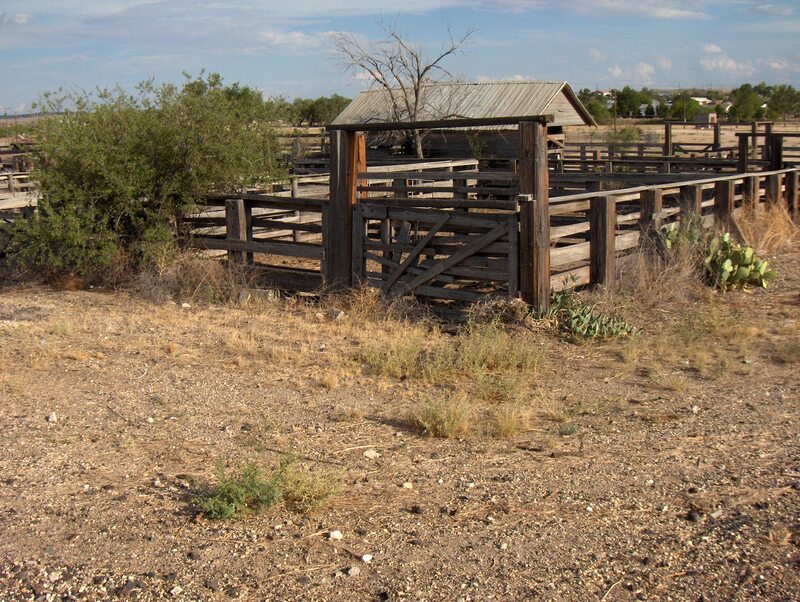 Fowlkes Cattle Company. It is a small operation on the east side of town. 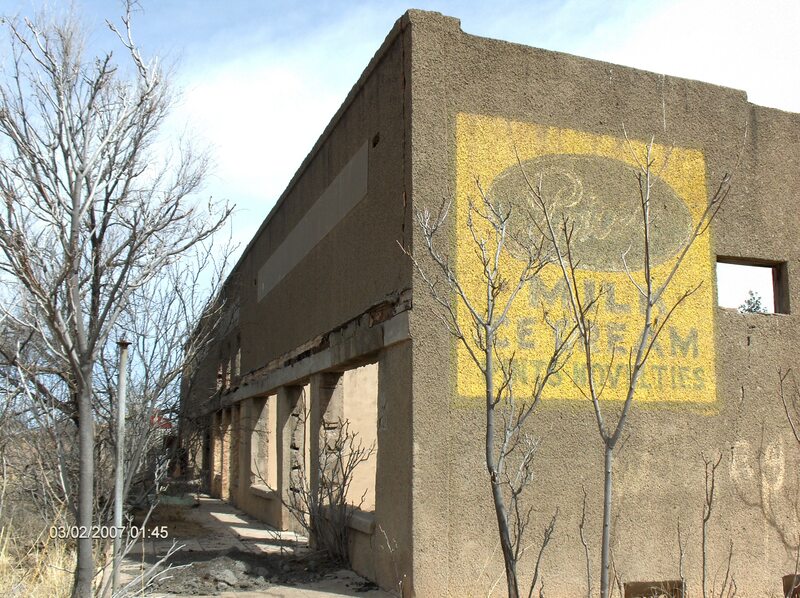 It is located adjacent to Union Pacific’s mainline to El Paso, Texas. It normally receives a few shipments each year and normally just one car. Occasionally, two cars will be spotted there. 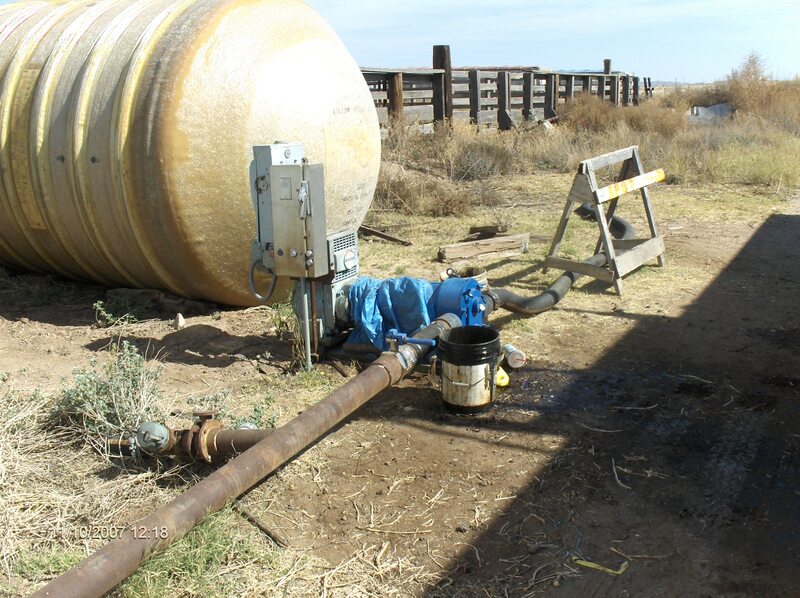 Pump that gets the molasses moving. Note stock pens in background. 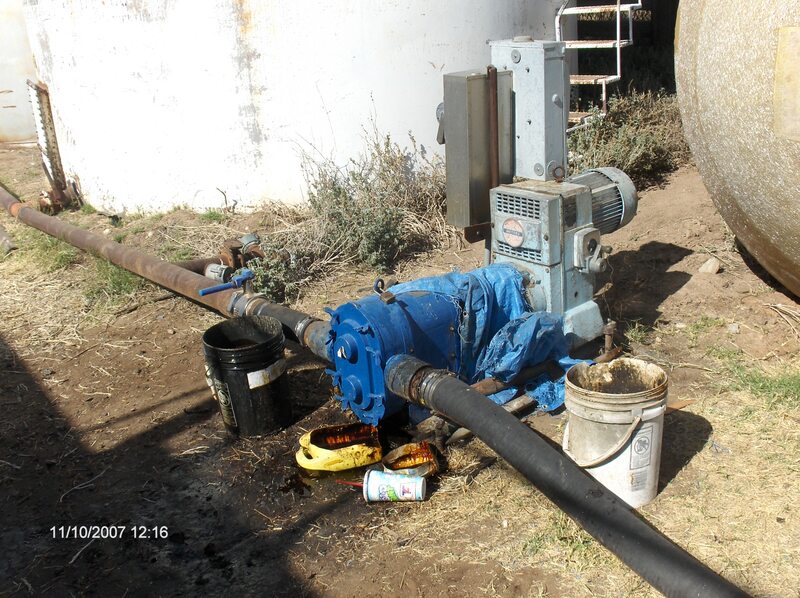 Close up and other side of pump. One of the more interesting tanks car spotted there, March 25, 2008. 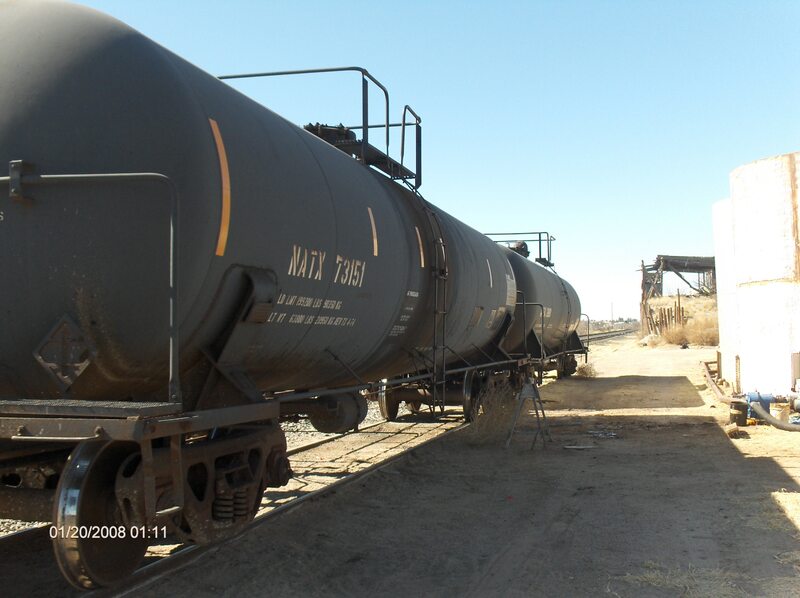 Sometimes, two tank cars will be spotted. 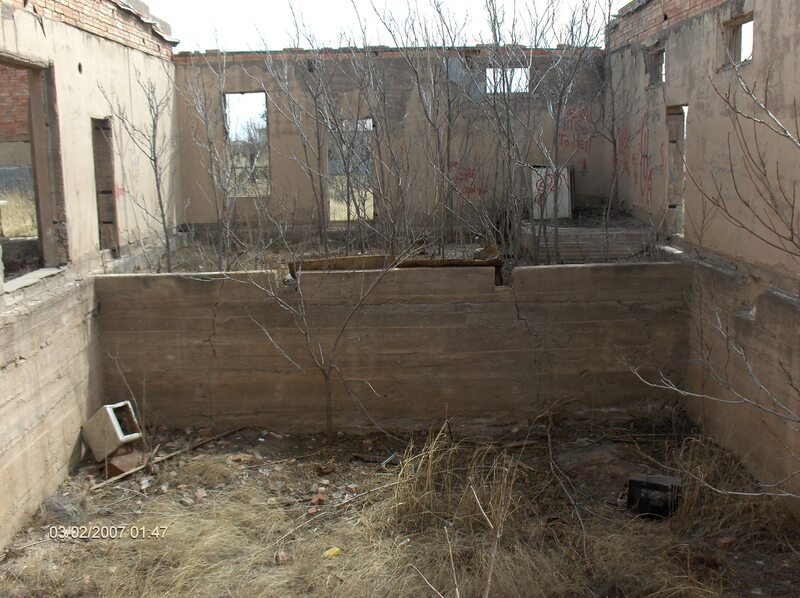 Note tumble weeds–this is real West Texas. Fowlkes Cattle Company from the air. The green dot denotes the unloading facility. 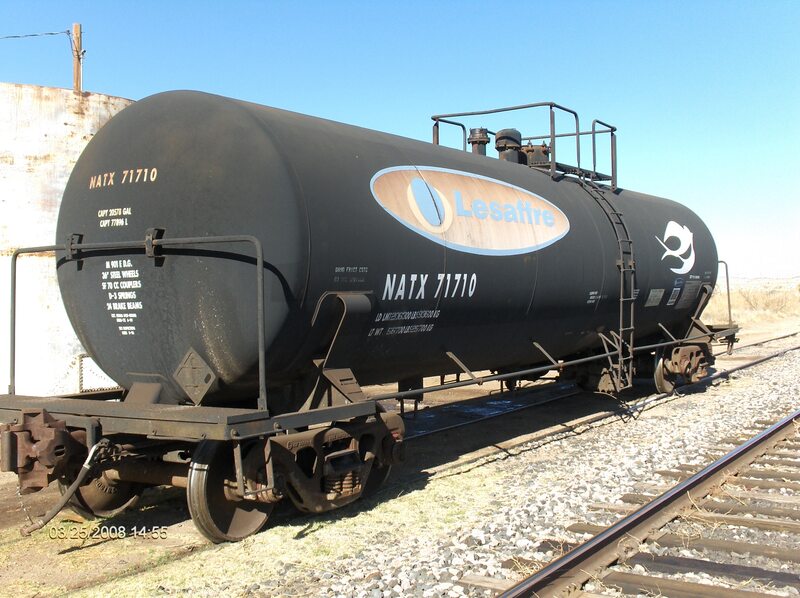 Note tank car to the left. 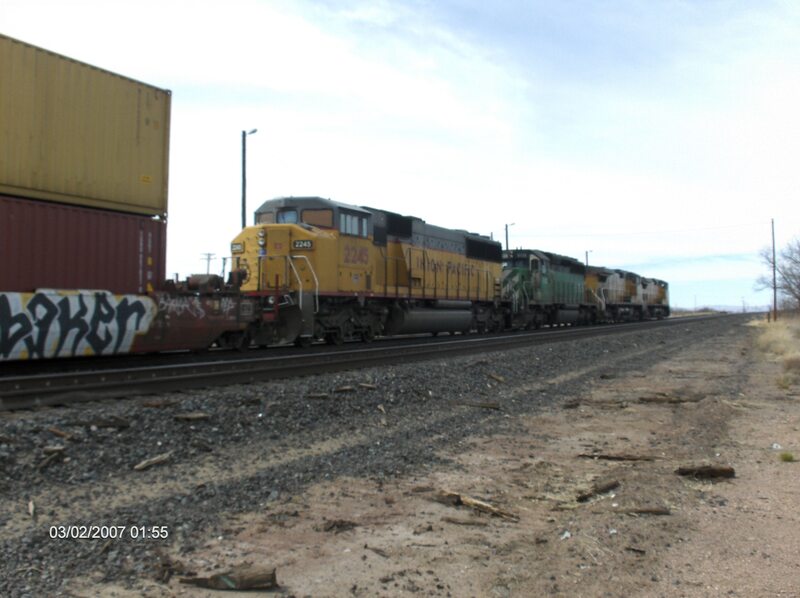 It was likely waiting to be spotted or retrieved by the Union Pacific. 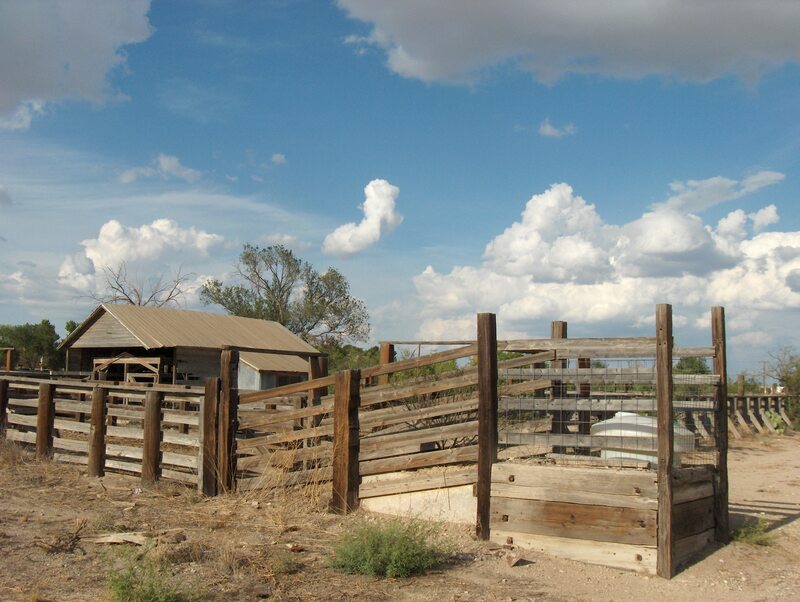 The little rectangles above the unloading facility are cattle pens. PLCX #221142 brought in a load March 8, 2014. 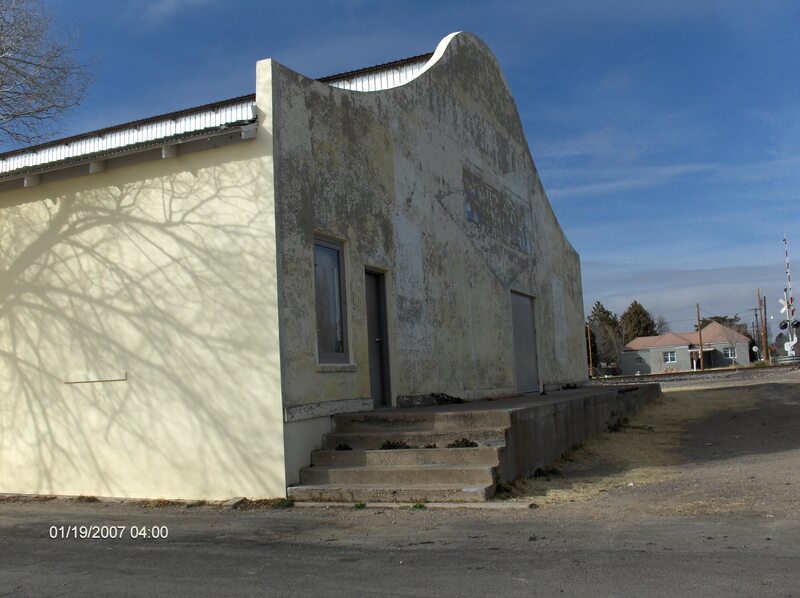 Note: Marfa, France is a novel by the author of this blog scheduled to be published in 2015. 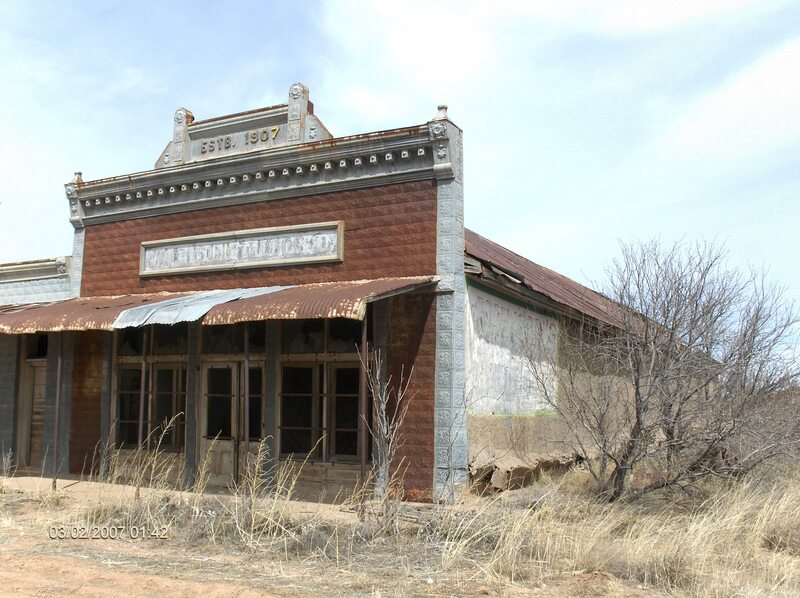 The Fandango Continues — Valentine, Texas– Home to Prada, Ghosts and Beer? 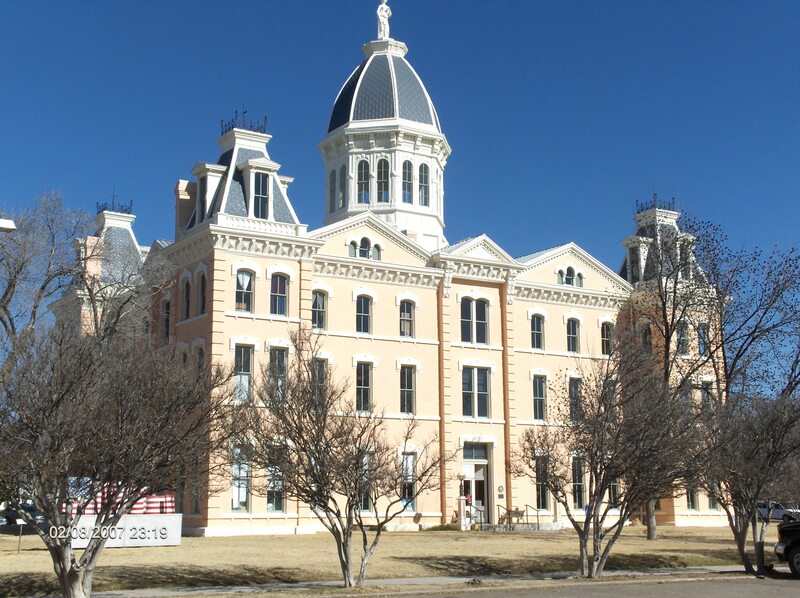 Valentine is the only incorporated town in Jeff Davis County, Texas. It is a little west of the site of my last post in Marathon. The population of Valentine was 187 at the year 2000 census. It is an old town as this 1884 map attests. 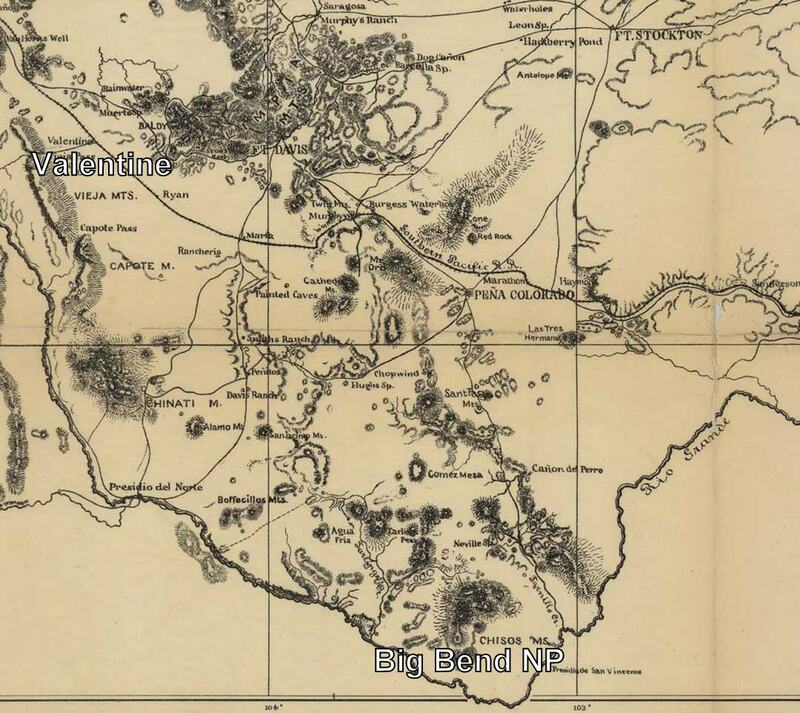 1884 Military Map of Trans-Pecos region with Valentine and Big Bend NP highlighted. Courtesy of www.terlinguacitylimits.com. Valentine’s name refers to the date of its founding in 1882 by a Southern Pacific Railroad construction crew on February 14. It is one of several cities named Valentine in the United States where the the Postal Service cancels envelopes for Valentine’s Day. 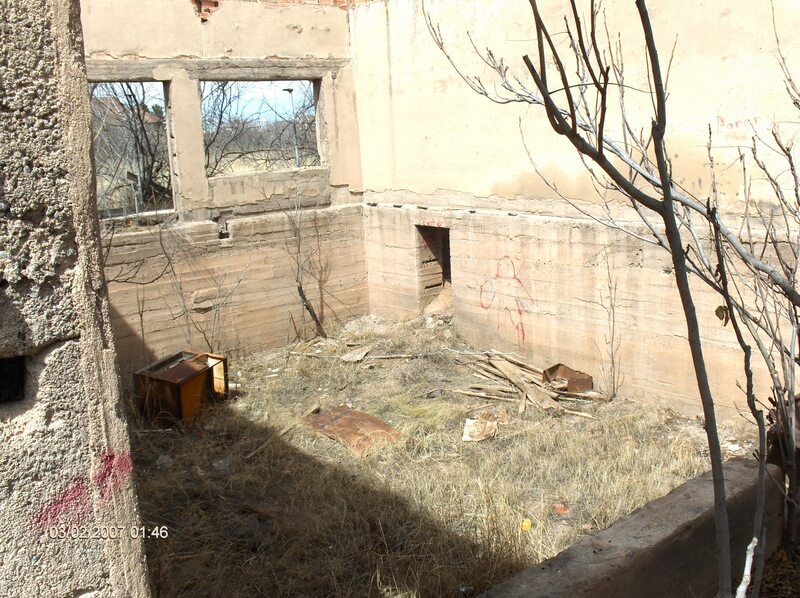 The town has still got some life, but there are some pretty desolate quarters. Here are some photos from 2007. 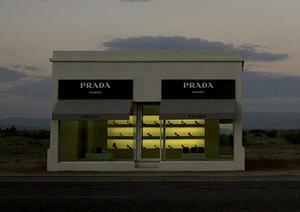 Valentine is also home to the noted art installation, Prada Marfa (2005), located outside Valentine on US 90. 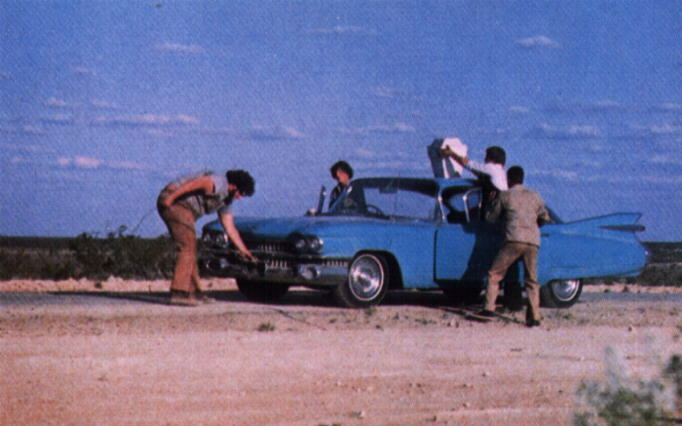 The 1973 movie, Cahill, U.S. Marshall, was set in Valentine, Texas. John Wayne in Cahill, U.S. Marshall. 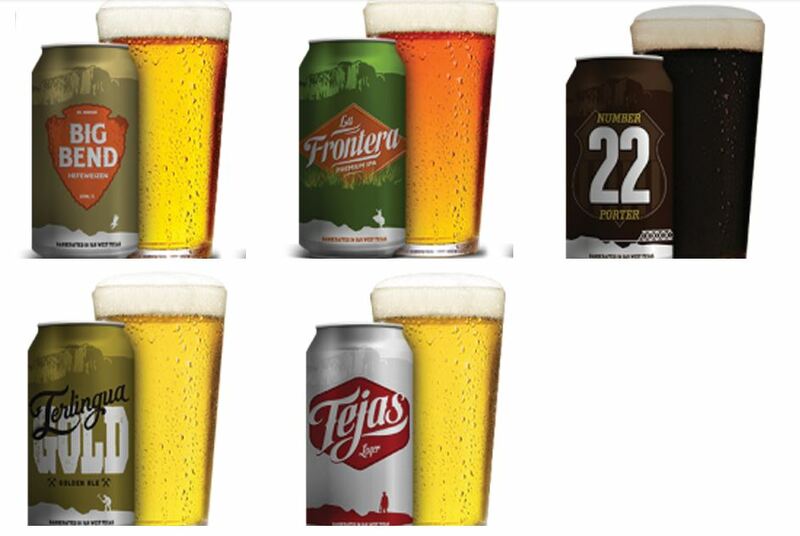 The fine products of Big Bend Brewing. Some great artwork on those cans! 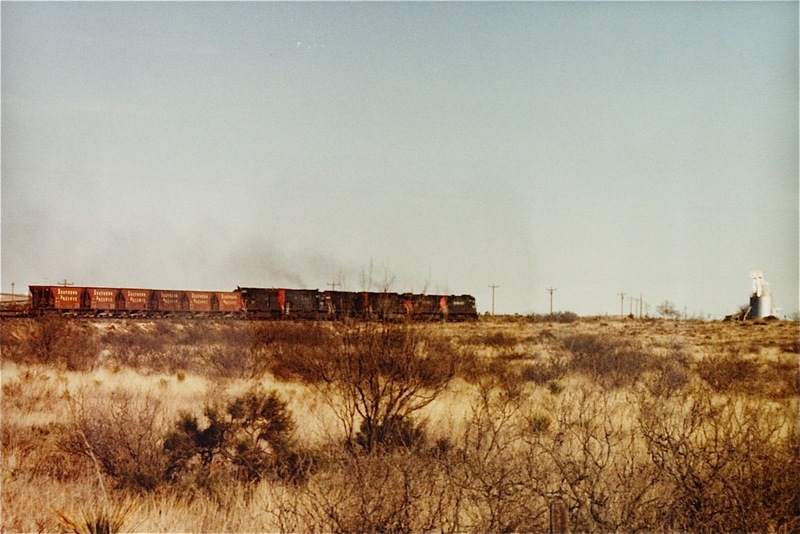 This concludes this Fandango through the Tran-Pecos country for now, but wait…I failed to mention trains! This one came cruising through Valentine just a few feet from Johnson’s building pictured above. Go find your Fandango out there. It is waiting! 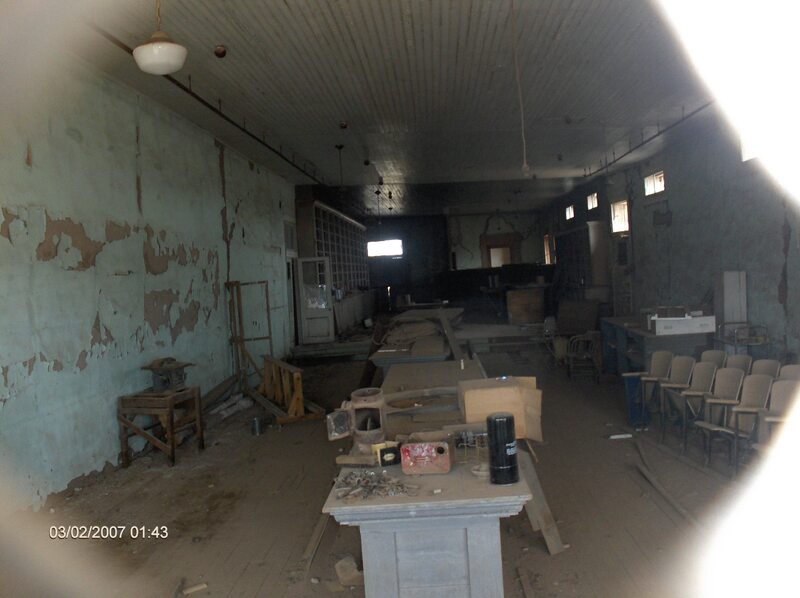 In Part II, we will revisit Marathon, Texas in 2008. 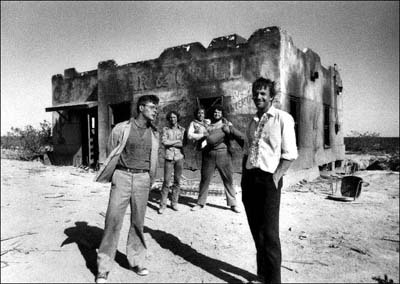 Marathon still looks pretty much the way it did in 1985, the year Fandango was filmed. 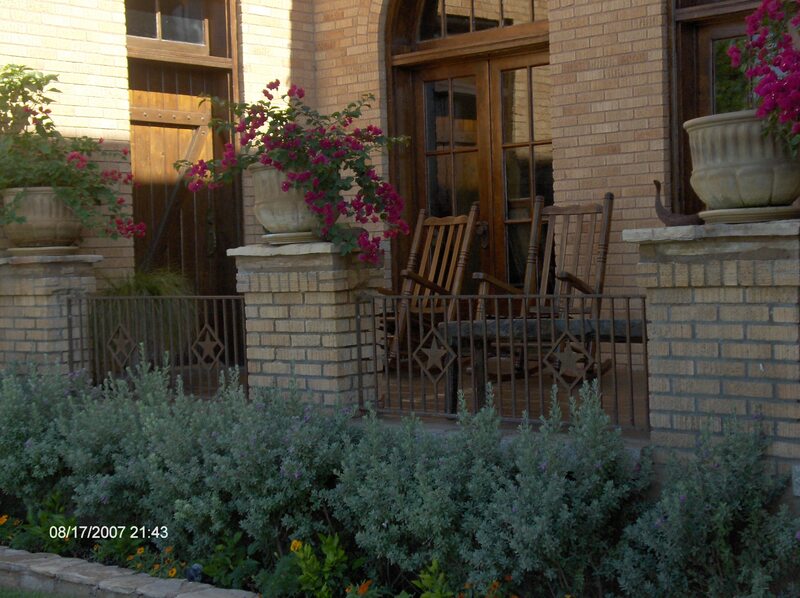 It is a beautiful West Texas town in a great mountainous setting. Gas station featured in the movie Fandango. As for rail activity in Marathon in 2008, train after train rumbled through town, but none stopped to service industries in Marathon. All the local rail business have dried up for now. Every once in a while, you hear that the fluorspar shipments may resume. 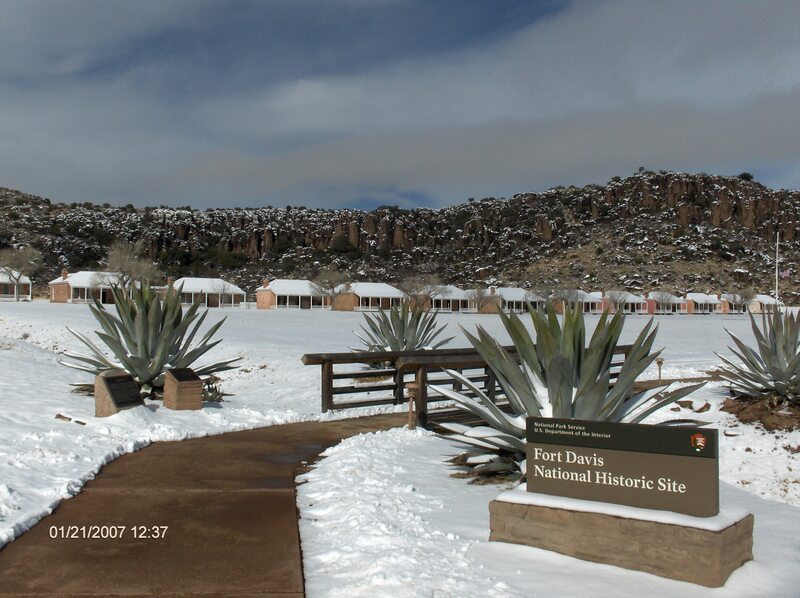 DuPont Fluorspar location facility in 2008. However, there is still life in Marathon. 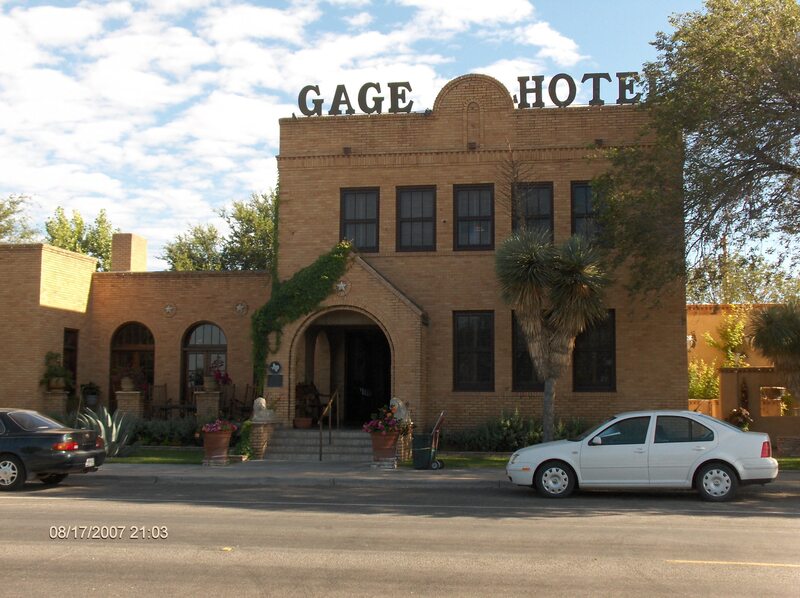 If you visit Marathon, make sure you stay and eat at the Gage Hotel. It is a great place! Now go watch Fandango! You won’t regret it. 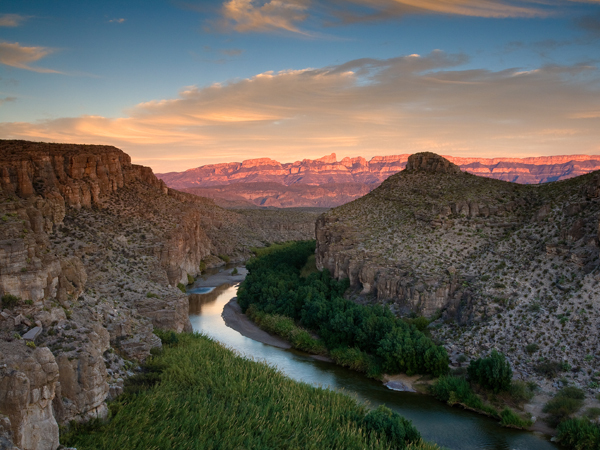 On this blog, I have written and shared a great deal about the Trans-Pecos Region of West Texas. It is one of my favorite parts of the the United States. This country provided the scenes for a number of famous films. 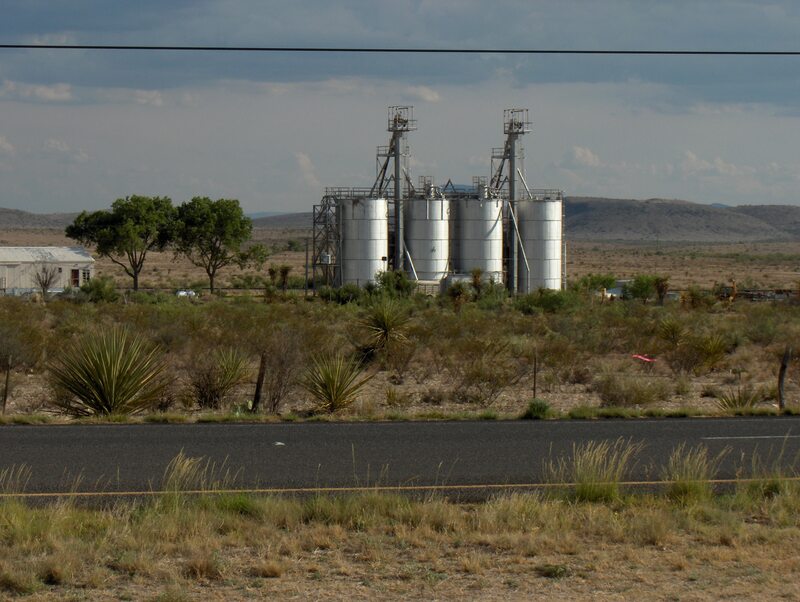 Marathon, Texas sits kind of on the eastern edge of the Trans-Pecos Region in a beautiful, desolate setting. 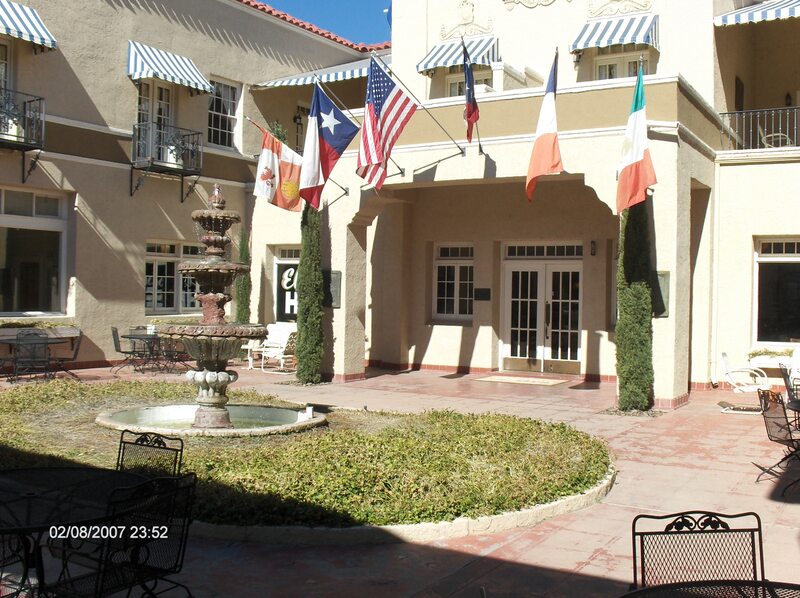 Marathon provided filming venues for Paris, Texas in 1984 and one of my favorites, Fandango, in 1985. If you haven’t scene Fandango, get it now! But this blog is mostly about railroad activity in the tiny town of about 400-500 people. Marathon in 1982 was a pretty busy location. In fact, the December 1986 issue of Model Railroader had an article on the Southern Pacific’s Valentine Subdivision that featured the industries I will discuss below. The article also discusses an improbable beer distributor in Marathon in 1986. “Looking west in the photo above. 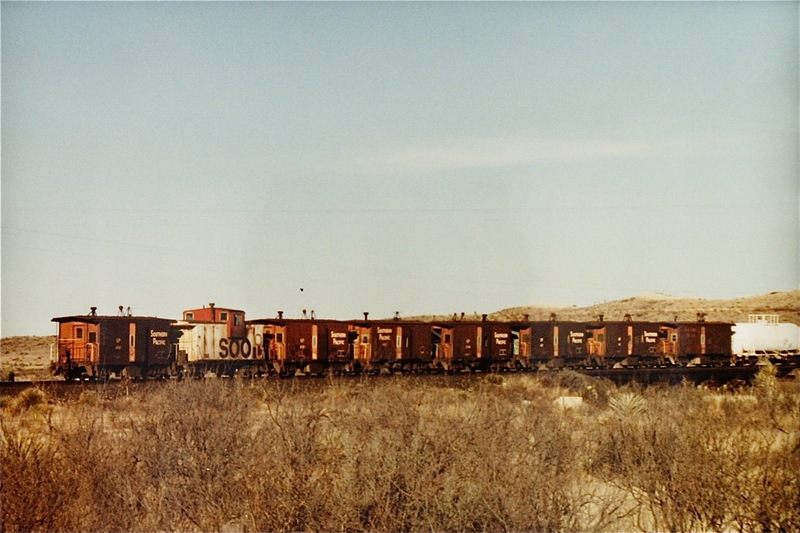 The two tracks to the left were used mainly to store two-bay ACF covered hoppers that were waiting to be loaded at the fluorite loading facility just east of Marathon. Trucks from Mexico brought the fluorite to Marathon where it was stored in large vertical tanks. A stub end siding that could hold about six cars was located there. Judging by the number of empties in the above photo it as a very active siding. 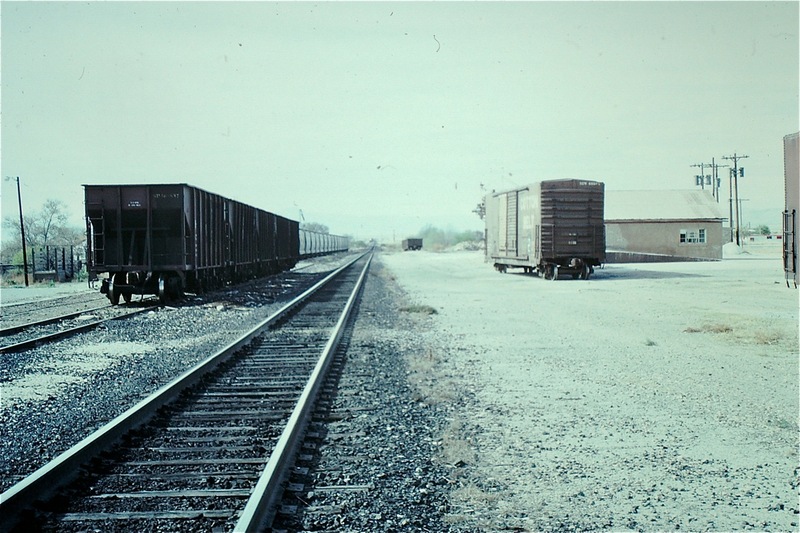 The track on the right had switches at both ends to the main track. 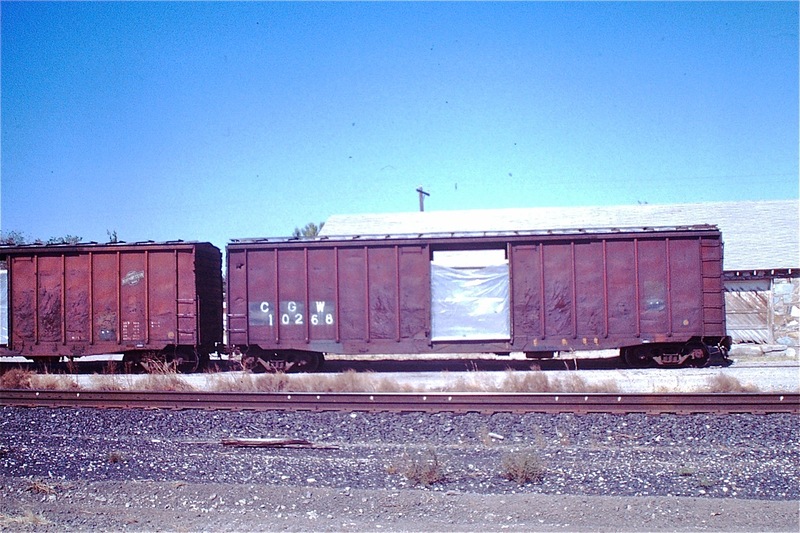 There was another company that loaded fluorite or clay into covered hoppers, open hoppers like those on the left, and box cars. For the box cars a bobcat front end loader went up that ramp you see by the side of the building and just dumped the material into a pile in each end of the box car. Another company loaded fluorite from this area. 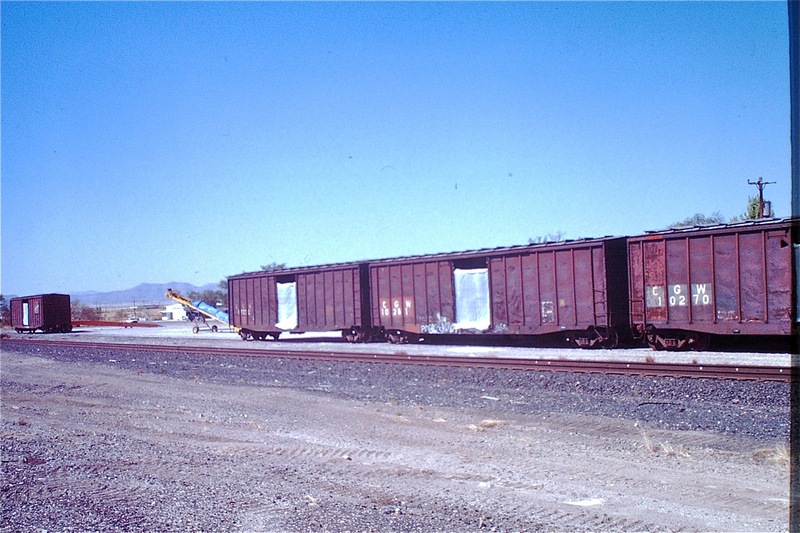 They used box cars, open top hoppers, and covered hoppers at different times. Here’s some notes from a return visit in 2001. 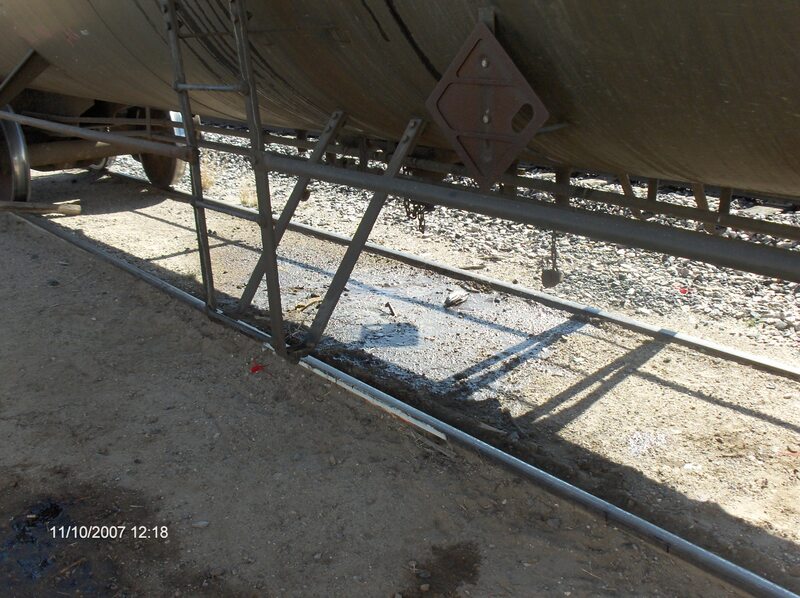 “Feb 16, 2001 — Gone are the two tracks used for storage, as well as the fluorite loading equipment that was here. Now ground clay (possibly bentonite) was being loaded into UP and DRGW open top hoppers. In my next post, we will continue this “Rail Fandango” and re-visit Marathon in 2008. I have written a number of posts concerning the nexus of beer and railroads. 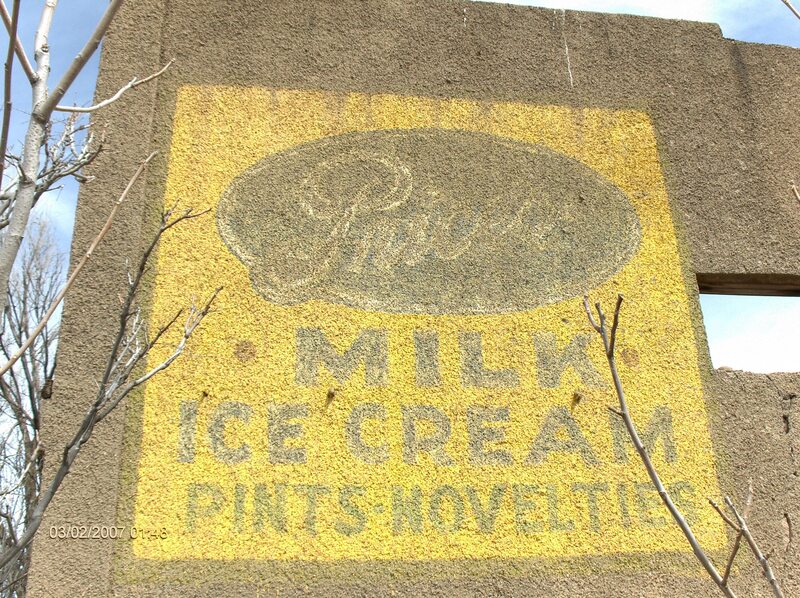 See this post (first of a four part series among others beer-related posts on the blog). This post is about another brewery that makes good use of rail transport in the production and shipping of its product–Sierra Nevada brewing Company in Chico, CA. 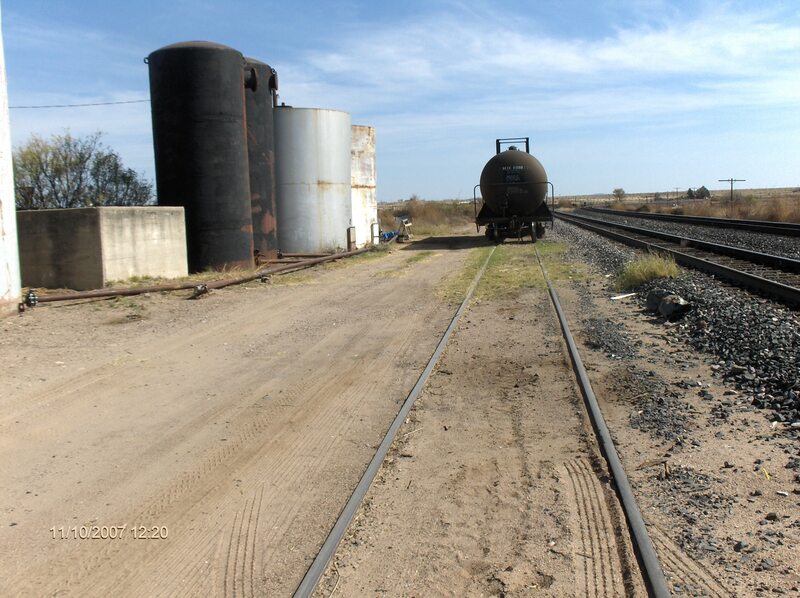 Sierra Nevada’s private rail spur in Chico, CA allows malt to be delivered by train to their dock only two miles away from the brewery. Sierra Nevada ships approximately 70% of its finished product to the East coast via rail which is 50% cleaner than over-the-road truck travel. Overview of brewery in Chico and rail-served malt unloading facility (lower green dot). Close-up of malt unloading facility. Here’s to Sierra Nevada Brewing for producing a fine product and using environmentally friendly rail transport! A friend of mine recently shared these photos he took yesterday near Kearney, Nebraska. 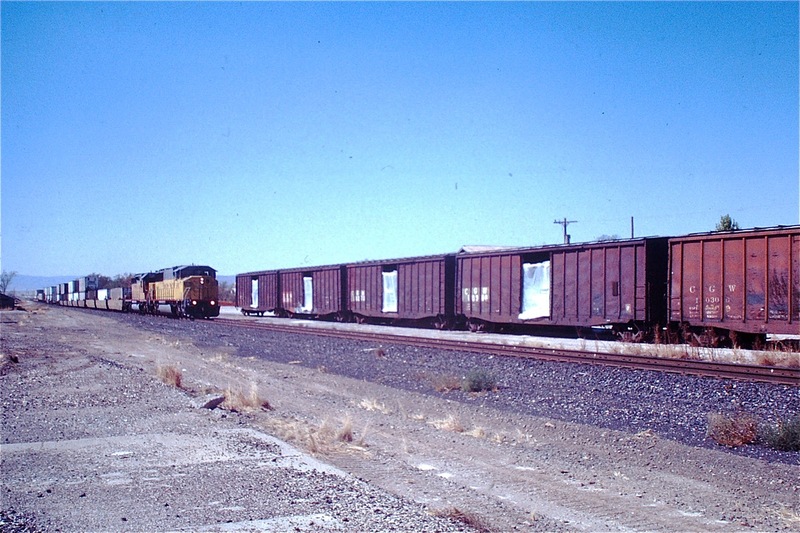 He captured a number of images of covered hoppers on a Union Pacific freight. Each of these cars have a tale to tell and many of them have been around 30 years or more under multiple ownerships. 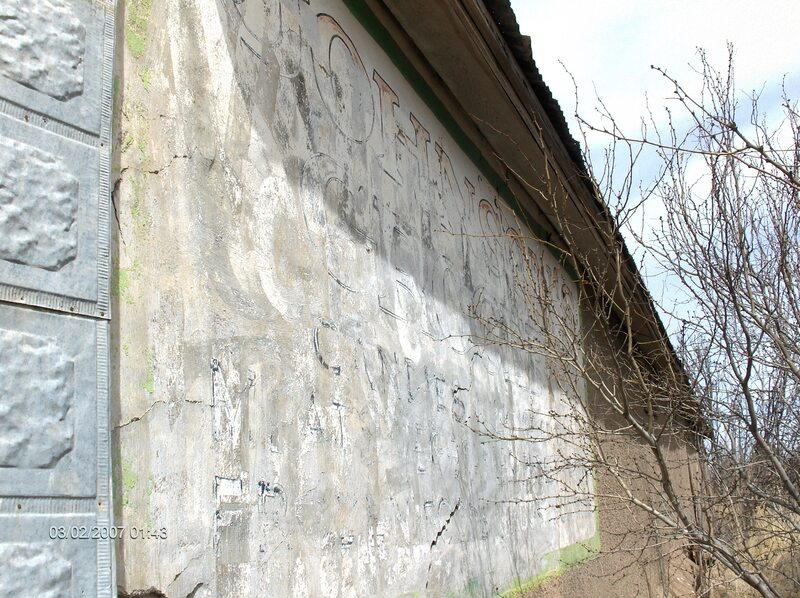 The weathering, patches and faded schemes offer a delight to the trained eye. Illinois Central Gulf engine 9567 at Rantoul, IL on August 12, 1982. The Illinois Central Gulf existed from 1972 (upon the merger of the Illinois Central with the Gulf, Mobile and Ohio Railway) until 1988. In 1988, it reverted to the name of Illinois Central and become part of the Canadian national in 1998. Like the Illinois Central Gulf discussed above, some of the railroads featured on this train have been merged away for years. 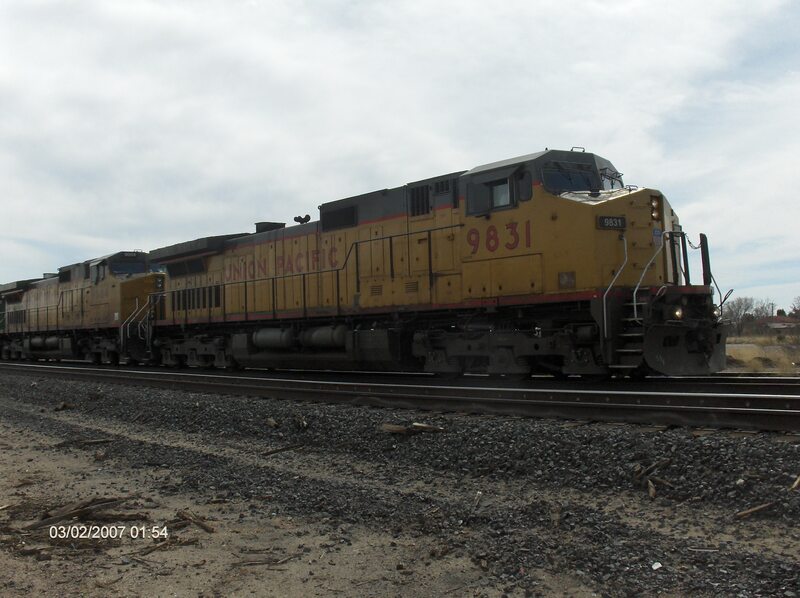 The Missouri Pacific became part of the Union Pacific in 1982! 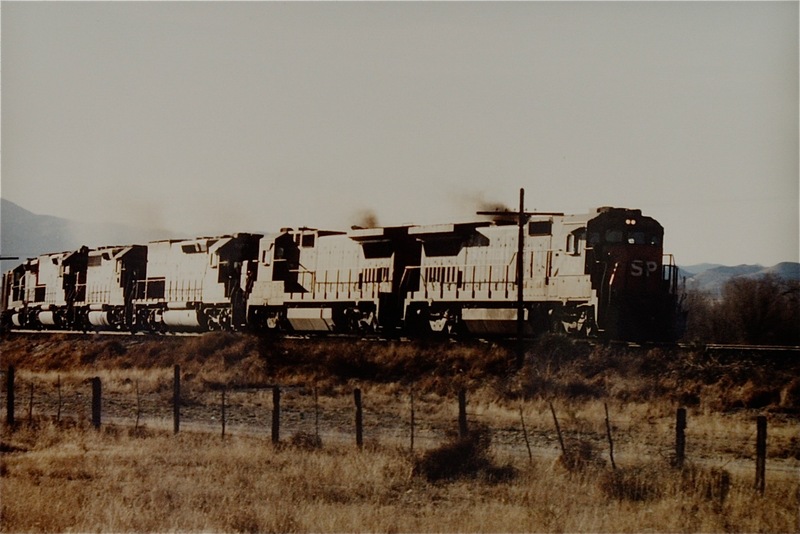 The Chicago and Northwestern became part of the Union Pacific in 1995. If you know the history of these cars, each car becomes almost a “personality.” All of these jewels were on a single train! Thanks goes out to Robert for sharing these great images from a train passing through Nebraska yesterday–simple pleasures on a beautiful fall day.